Various credible rumors, along with stray iOS 12 beta code, suggest that Apple is preparing to bring dual-SIM card support to the iPhone for the first time with this year’s new models. The belated addition of the feature would be a little surprising because Apple doesn’t seem too enamoured with SIM cards in the first place. (See the virtual SIM embedded in LTE versions of the iPad and Apple Watch.) So why would Apple make the move now? While it isn’t common in the US, dual SIM support is an essential feature for people in so many other regions that offering it would meaningfully change the way the iPhone is used around the world. The biggest question, however, is whether these are the users Apple will actually target with the support. Dual-SIM phones have been around in various iterations for nearly two decades, including some wild devices that pretty much amounted to duct-taping two phones together. But the idea really started to take off in the mid-to-late 2000s, when small Chinese manufacturers started to produce phones that really delivered on the concept of one device with two SIM cards that could be used at the same time. Why would anyone want that? In regions where people tended to buy unlocked phones outright rather than on subsidized carrier contracts, the main advantage was historically that you could avoid roaming fees. In China, phone numbers have long been tied to your local region. For example, if you moved from Beijing to Shanghai, you would need to get another SIM card. Until last year, Chinese carriers also charged roaming fees and made long-distance domestic calls more expensive. Dual-SIM devices allowed people to get around these issues with minimal fuss. Europeans similarly had to deal with higher fees when crossing borders until the EU regulated and ultimately abolished roaming charges. More recently, though, the proliferation of modern smartphones has led to different use cases for dual-SIM phones. Because there are so many options for cell service plans that variously focus on phone calls, messaging, and data, it can often save you money to run two lines at once for different purposes. Depending on your region, it may also be helpful to be able to switch between carriers at will in order to get the best coverage in a specific location. Both of these factors have been key to the widespread adoption of dual-SIM smartphones in parts of the world like India and Africa, where users are price-sensitive and network infrastructure is still developing. However, Apple hasn’t shown any signs that it’s willing to break with its high-margin business model in order to gain more users in cost-conscious regions. Tim Cook often talks about the opportunity in India, but as long as the company’s main play in the country is a 4-inch phone with three-year-old specs that sells for $400, it’s hard to imagine a brand-new dual-SIM iPhone making much difference. Apple is very much outside the mainstream Indian market, and it’s unlikely that the lack of dual-SIM support would have been the sole deal-breaker for many people. The same goes for other major markets like Brazil and Russia. Indeed, some reports suggest that the dual-SIM iPhone may be a China-only variant of the rumoured new lower-end model with a 6.1-inch LCD. (Bloomberg seems to believe that it’ll also apply to a 6.5-inch OLED model.) That would be easier to believe: China is a more immediately beneficial market for Apple, and it’s the only one in the world where dual-SIM support is a standard expectation for high-end devices. Even ultra-advanced phones like the Vivo NEX have two SIM card slots, as do all flagship devices from Huawei, Xiaomi, Oppo, and so on. Foreign companies like Samsung, meanwhile, develop China-specific dual-SIM variants of phones like the Galaxy S9. As such, it wouldn’t be surprising to see Apple restrict dual-SIM sales to China altogether. Conversely, it would be hugely surprising if Apple were to sell such a model in the US and beyond. It’s not a feature that Americans are accustomed to, carriers would be upset, and Apple probably doesn’t consider the SIM card any more desirable than the headphone jack in the long term. It just doesn’t feel like the sort of technology Apple would throw its philosophical weight behind on a global scale. 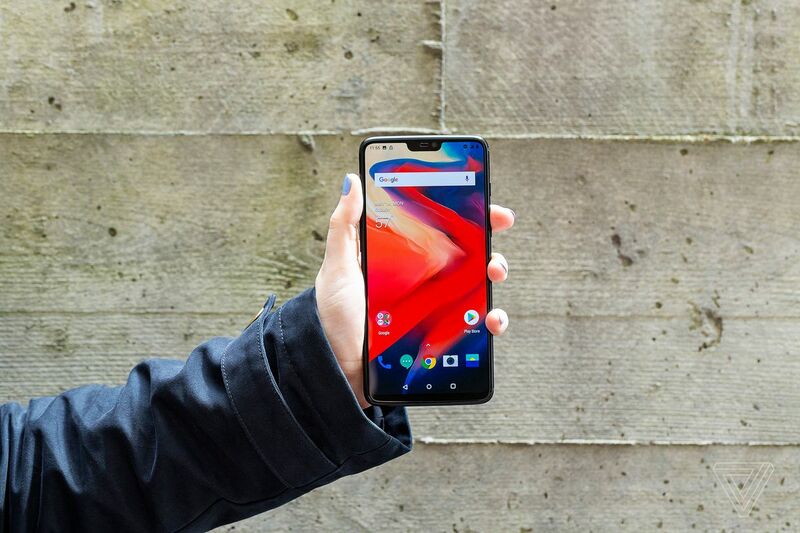 If you do want to buy a dual-SIM phone in the US, your best bets are the OnePlus 6 and the Honor View 10, which are, not coincidentally, two Chinese phones that are exclusively sold unlocked. That’s the more likely outcome for a dual-SIM iPhone: it’s a matter of convenience for China rather than cost-effectiveness for emerging markets. China is the only place with a significant number of customers who have the means to buy an iPhone yet would consider the lack of dual-SIM support a strike against it. Of course, it’s Apple, so you never really know what’s going to happen until everything is announced onstage, which seems likely to take place in the next two weeks or so. Maybe Apple will bring dual-SIM support to multiple regions, after all. Maybe there will be some sort of solution involving an embedded Apple SIM and the traditional slot. What does seem clear is that Apple plans to address the concerns of at least some customers who want more control over the carriers they use — and, for now, that probably just means China.